I hardly don’t read books anymore, I listen to them via Audible. I recently finished listening to Disrupted. It’s the story of Dan Lyons working at HubSpot. 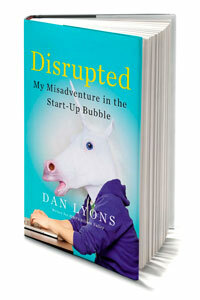 It gives great insight to working at a startup and the inner workings of investors and IPO’s. If you enjoy the HBO series Silicon Valley this is a must read. Dan is actually a writer for that show and the book has much of the same humor. Highly recommended! Check out the audio book. It’s read by Dan Lyons himself, it always adds to the feeling of the story when the author reads his own book.